You’ve seen it–that magical moment when you students just “clicked” with your lesson. They were engaged, even if just for a few brief moments, instead of daydreaming or wishing they could be texting their friends. Adapting your lesson to a Halloween theme is more likely to engage them. Kids are already fascinated by Halloween. Connect your science lesson to it, and they will be more engaged and interested. The holiday becomes a catalyst for engagement. Step 1. Look at the lessons you have planned for the next two weeks. Are there any demonstrations you will do? 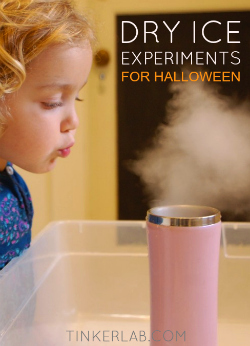 A small modification may be all you need to turn it into a Halloween-based science lesson. Step 2. Look for connections to Halloween: pumpkins, smoke, goo, colors, or mixtures. Can you do the experiment inside a pumpkin? I’ve seen the classic baking powder + vinegar demonstration called a Halloween experiment because it was done inside a pumpkin. Does the demonstration involve mixing anything together? That can be called witches brew or potion. Does it involve anything along the lines of smoke, goo, something glowing, or the colors orange, black, or red? As a science teacher, you always have the option to pull the catch-all theme: mad scientist. For themes like this to work, they need to be more than a silly label placed on an ordinary experiment. Most kids will see through superficial labels. So how do you take a demonstration, mix it with your theme, and come out with something to engage the kids? I then sank my fingers into the top of the cake and tore out a large piece. I was careful to clench my fist after tearing it out so that the frosting would ooze through my fingers, and then as [they] sat in total disbelief, I threw the piece of cake to [him], splattering some frosting down the front of his suit. Would anyone else like some cake? I inquired. For some reason, there were no takers. How you present your Halloween-themed demonstration makes an enormous difference. You can put a shallow label on an ordinary experiment. Or you can present it well, with the details that impress. Maybe dress up as a mad scientist or maniacal witch and brew a concoction of magical science. 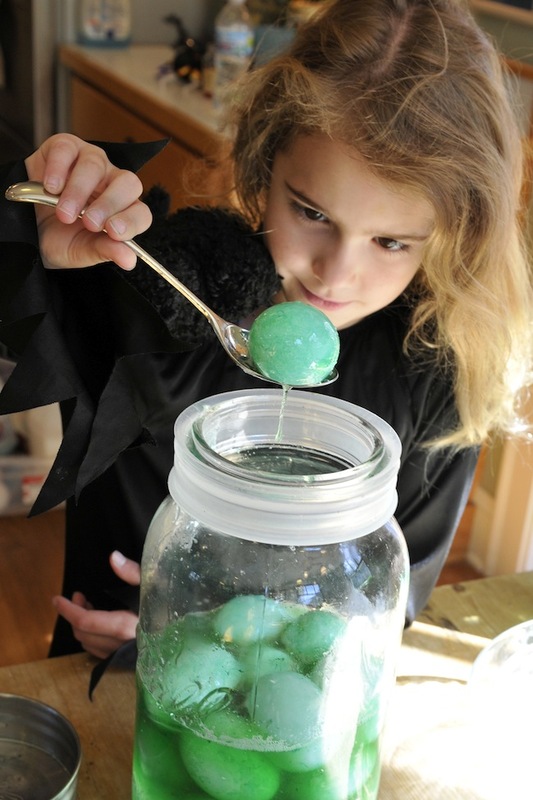 See my Halloween science Pinterest board for more ideas! How do you adapt your lessons? Share with us what you have done to adapt your lesson to a holiday theme. What makes it successful? Do the kids love it? Do they learn more? 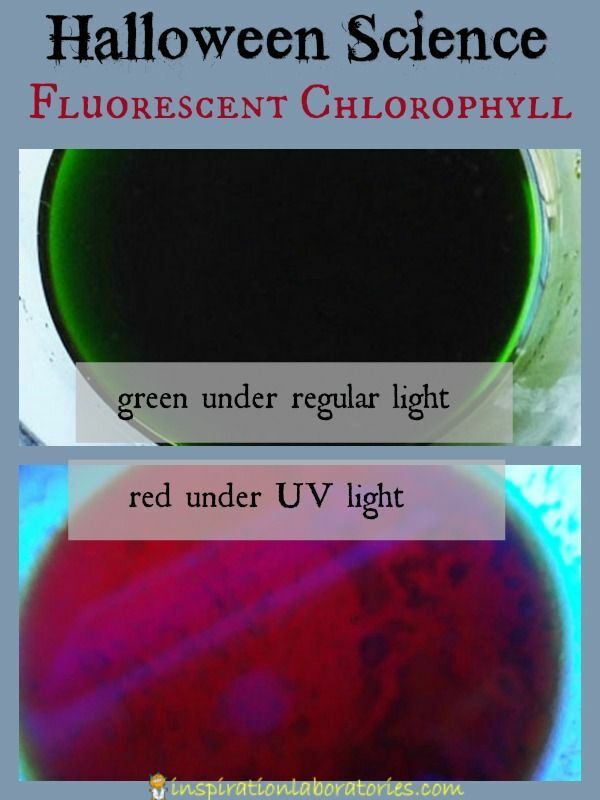 This entry was posted in Educator's Corner, Fun Science by Alicia Brown. Bookmark the permalink.